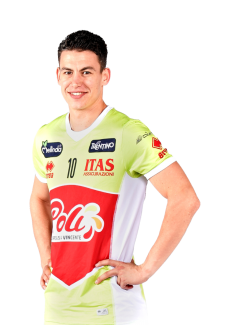 At the end of the season, President Diego Mosna felt it was time for new energy and decided to invest even more resources also thanks to the participation of Grundig among the main sponsors. 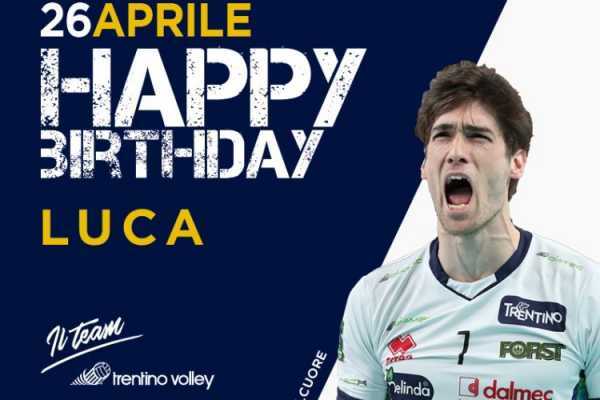 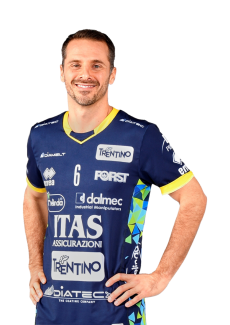 Coach Bruno Bagnoli (already sports trainer during the first two seasons) could count on excellent players for the 2002/03 season: the Russians Choulepov and Kazakov, opposite hitter Sartoretti and libero Sorcinelli to join Fortunato and Tofoli. 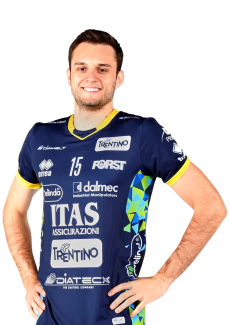 Another star player would soon come along too: Mister Secolo Lorenzo Bernardi. 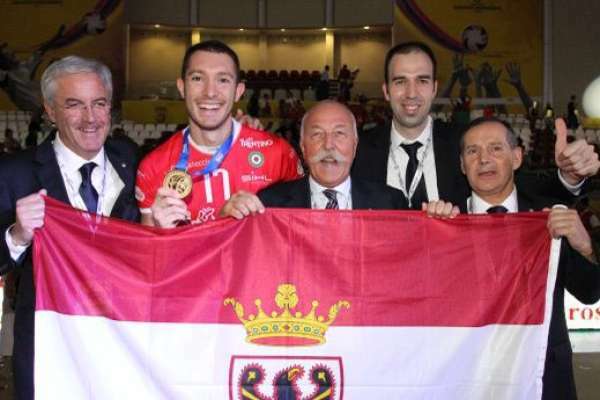 The strongest player in the world (in the photo on the left with the Itas Diatec Trentino shirt) who won everything with the Italian team and with Sisley Treviso. 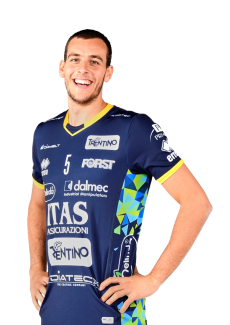 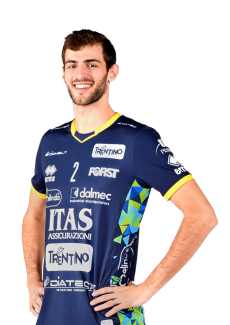 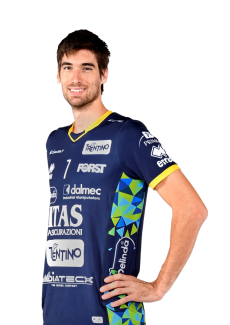 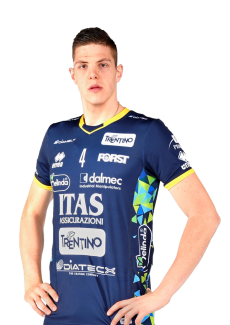 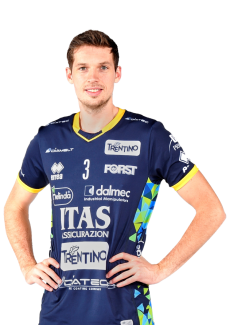 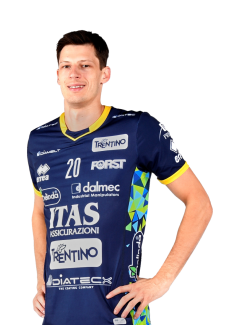 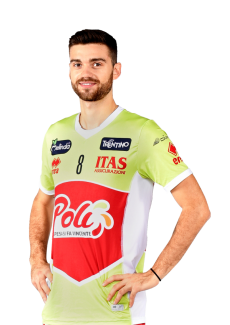 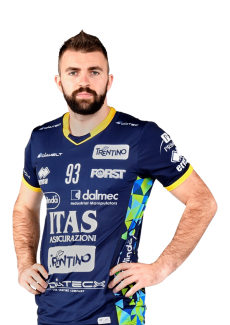 Since Bernardi was actually born in Trento he immediately became the symbol of the team and initially lead it towards many victories before having to deal with injuries that compromised his activity. 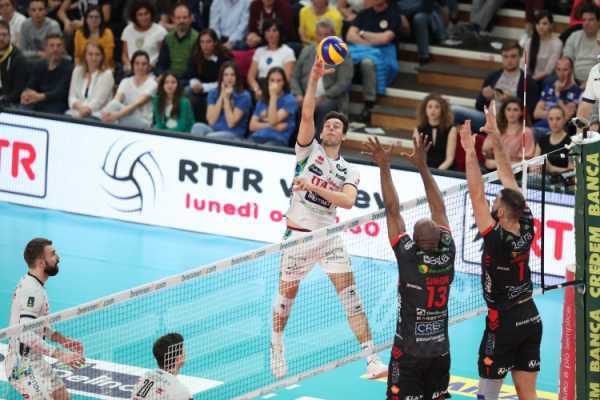 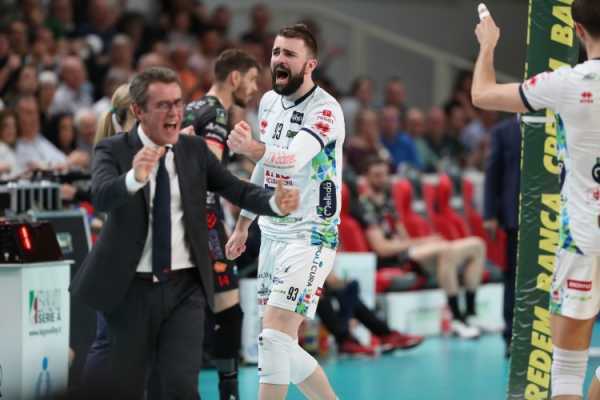 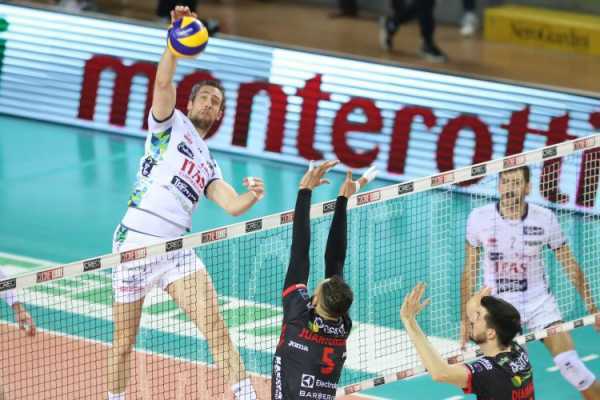 The team was eliminated at the quarter finals during the Italian cup against Bolzano (organized by Trentino Volley) and was defeated in the Italian championship by the Italian champion team Modena after five strongly fought final quarter games.